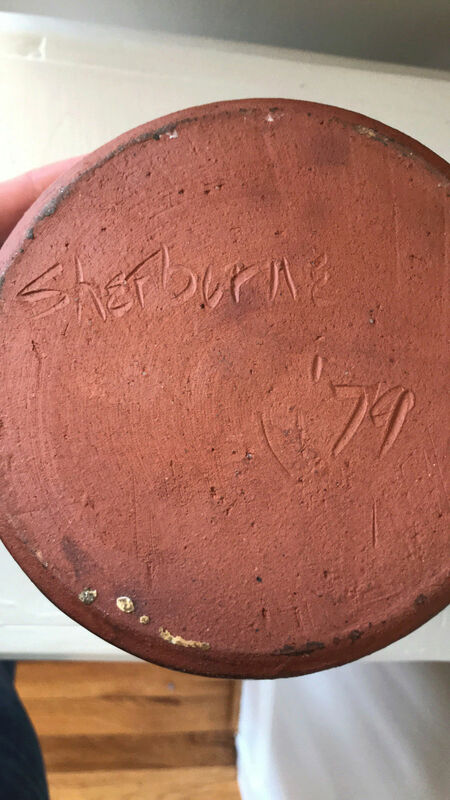 Can anyone help me identify this potter? 5” across base, 7.25” tall. Sherborne US or Sherborne UK? The only potter I know in Sherborne UK set up later than this date. Purchased at an estate sale in southern Alabama in the 90s, no idea of provenance. Identified thanks to Michael B Hayes on Facebook. Sherburne is the resident potter in the acclaimed Artists Hand Gallery in downtown Indiana Pennsylvania. 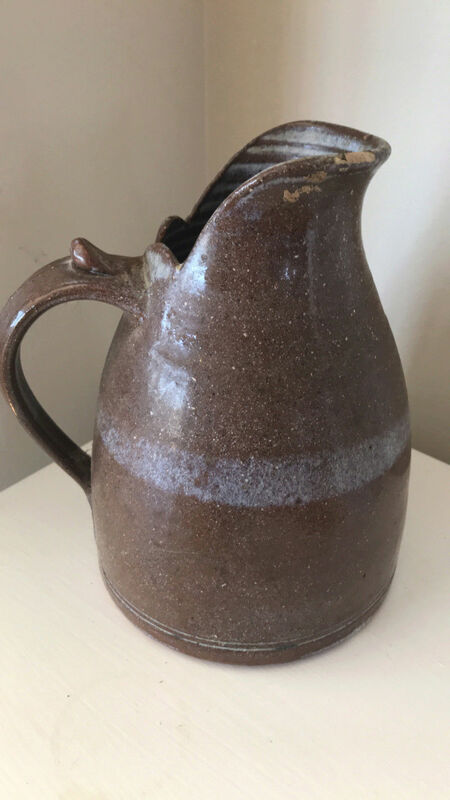 He has been a potter since the mid 1970’s and has worked in studios in Ohio, Indiana, Florida, California and his own native Kentucky. His sturdy functional porcelain vessels have been informed by the English Craftsmen movement and early Colonial works. J.R. combines precision forming with free flowing slip trailed decoration to seek a balance between spontaneity and exactitude. Each piece striving for a singularity; what he has termed ‘the coolness of being”. I’ve contacted the gallery and they think it is his, said they’d ask him.